Google – ever the innovator – has teamed up with the International Chamber of Commerce’s Commerical Crime Services to bring you a regularly updated world map of piracy incidents. Heres’s the link to google and where I found the story. 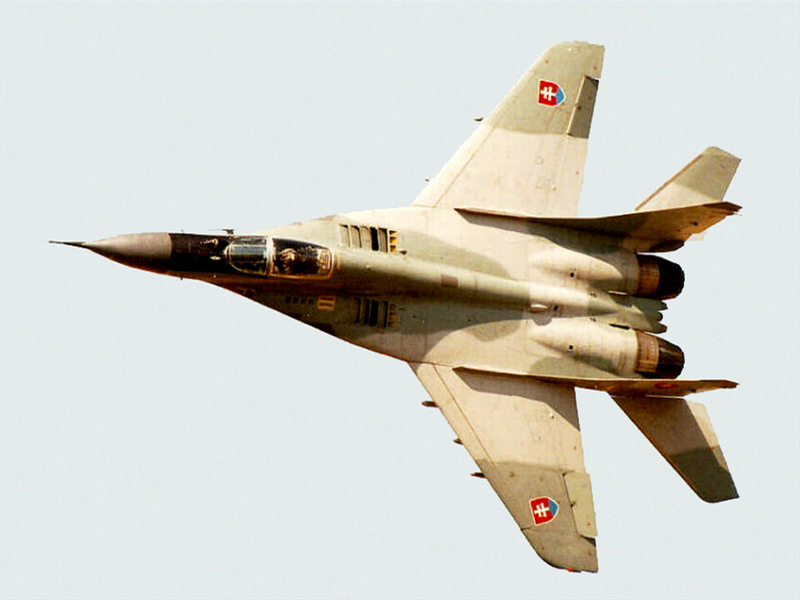 Russia has agreed to sell 12 MIG-29s to Sudan in a bid to help them overcome the multiple and chronic humanitarian issues they are facing. It is not clear, however, exactly how these supersonic fighter-jets can help out with the near-famine or with the building of new schools or hospitals or villages or houses or with the resettlement of the 2,000,000 people who have been forced to flee since the start of the conflict in 2003. A corollary of this agreement is that – and i want to make it clear that i am casting no aspersions as to Russia’s motives here – Russia will now (coincidentally) have better access to Sudan’s oil industry. And speaking of large sums of money, whilst some may say that the untold millions of dollars that the Sudanese government spent on these exceedingly useful jets could have been better spent on medicine or food or shelter or something ‘practical’ like that, Russia, no doubt, thought long and hard about this, listened to their conscience and – as ever – came up with (what some people might refer to as) the most morally reprehensible course of action. The United Arab Emirates (UAE) will, according to an official, continue to work with the International Atomic Energy Agency (IAEA) over the creation its peaceful nuclear programme. The move to start negotiations over the possibility of the Emirates nuclear programme comes as electricity demand is expected to more than double by 2020 (from 15,000 megawatts to 42,000). This turn to nuclear power does sound, however, somewhat counterintuitive given that the Emirates (and especially Abu Dhabi) have such large oil and gas reserves. Furthermore, given that whenever Middle Eastern states begin discussing nuclear issues, it is often – rightly or wrongly – suggested that they have nefarious intentions, ought the UAE’s decision trouble the international community? On the surface there seems to be no problem at all. The Emirates is a Western-orientated country with generally very good relations with the vast majority of countries in the world. They are reliant on various flows to and from the Western world, be in in the influx of Western tourism, Western educated skilled workers or Western companies along with their need of routes to sell their oil and gas, products and services as well as projects to invest in with their sovereign wealth funds. Their future, therefore, appears to be somewhat contingent on amicable and improving Western relations. Indeed, America and France, for example, both have military bases in the country and value the Emirates as a friendly nation in a critical region of the world and would, therefore, defend the Emirates to some degree. However, the question is to what degree? If, for a minute, the discussion can be taken along a more academic or even implausible route, when countries are faced with questions of existential importance, issues of status quo, trade and common ties become somewhat redundant. The only existential element that could possibly come into this equation is, of course, Iran. Iran has been seeking to begin its own peaceful Nuclear programme for years now. The international community, however, do not believe Iran’s peaceful intentions and seemed determined to stop Iran from acquiring significant nuclear technology so that they could manufacture a weapon and thus deter the West from meaningful actions against it. However, it is not just the West that fears an Iranian nuclear power. Many of the Gulf states are somewhat perturbed by examples of bellicose rhetoric emanating from Tehran towards their favourable attitude towards the West generally and America specifically. Qatar and Bahrain arguably have the most to fear from an angry, nuclear powered Iran given that they host massive US military bases. Bahrain in particular has a huge Shia community which contributes to their nervousness. The Emirates too have a sizable Shia community as well as large natural resources that Iran might well be covetous of. If Iran acquired a nuclear bomb, for example, it would be extraordinarily difficult for either the West or the Gulf states themselves to deter Iran from interfering explicitly or implicitly in their affairs, perhaps under the guise of safeguarding their Shia brethren. Furthermore, with Iran’s population reaching 100m in the coming years, its critical dependence on a high price of oil to maintain its budgetary needs (apparently Iran needs oil prices to be around $85 per barrel to break even), its weak and impoverished infrastructure, its large military, its problems with securing sufficient water resources and its difficult relations with both the West and some of its neighbours, the spectre of an un-deterrable Iran, coveting the vast wealth of the Gulf states could well have the Shaikhs and Emirs of the region scrabbling for the beginnings of a deterrent themselves. Iran has opened a new naval base in the town of Jask, right on the straights of Hormuz. The addition of this base is, to some degree, is not overly militarily significant: Iran’s main naval base is at Bandar Abbas is well capable of disrupting traffic in the straights if the Iranian regime so desired. The addition of this base, therefore, does not vastly enhance Iranian navel superiority or anything of this nature, but is more of a sign of Iran’s intentions and current political thinking. This comes at a time of tension between Iran and the West, not to mention its Persian Gulf neighbours. Iran has repeatedly threatened to close down the straights of Hormuz as a reaction to being attacked by American forces. This would have a vastly detrimental effect on Kuwait, Qatar and the UAE as they would be prevented from shipping out their oil and gas. As these countries are typical rentier states i.e. they draw most of their wealth from the rent drawn from these products, the effects would be immediate and harsh. There have been discussions of storing oil abroad as a back-up, but such a plan is not in place now and would take years to implemenits of hormuzt. Here is an interesting report from a journalist investigating alleged US support for anti-Iranian militias in the Iraqi-Turkish-Iranian border areas.